Last month, during the 2018 Endowment and Debt Management Forum held in New York City, NACUBO awarded Sally Staley, investment governance adviser and consultant, and retired chief information officer at Case Western Reserve University, Cleveland, the Rodney H. Adams Award, which recognizes individual contributions to professional development activities in the areas of university endowment investment management. Starting as the associate treasurer in the Office of Treasury and Investment Services at Case Western Reserve University, Staley oversaw the alternative investment program in venture capital, private equity, hedge funds, real estate, timberland, energy, and commodities. As the chief investment officer, a position she held for 11 years, until her retirement in 2017, she oversaw an in-house investment staff of six, managing $1.8 billion of globally diversified endowment and trust assets, $150 million of deferred benefit pension assets, and $1.7 billion in deferred compensation retirement plans. Staley also led, supported, and contributed to all factors driving investment results; supported academic programs, faculty, and students throughout the university; ensured performance results aligned with investment objectives; and created strong working relationships with investment committee trustees. Prior to her 15 years of service at Case Western Reserve University, Staley held various investment positions throughout her career, including work at PricewaterhouseCoopers LLC, State of Wisconsin Investment Board, Merrill Lynch Capital Markets, Salomon Brothers Inc., and Prudential-Bache Securities Inc. In these positions she managed multimillion dollar pension funds, developed international fixed income portfolios, authored investing manuals, trained staff on global bond and foreign exchange investing, and other investment and financial functions. In addition to these roles, Staley has held appointments on several boards and advisory committees. 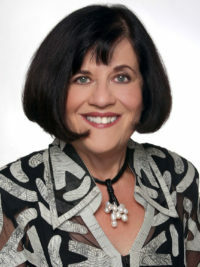 Since 2006, she has served as a member of the governance, investment, and enrollment committees for The College of Wooster, where she earned her bachelor’s degree; and from 2006–14, at the Saint Luke’s Foundation, she served as a member of the board of trustees, chair of the investment committee, and member of the governance and executive committees. And, in addition to her work at her alma mater, she is a member of the board of trustees for the Great Lakes Theater Festival and an adviser to the investment committee at Fairport Asset Management LLC. Staley, who served as chair of the Endowment and Debt Management Forum planning committee from 2015–16, was most recently recognized in 2016 by Institutional Investor, when Case Western Reserve University received the Large Endowment of the Year Investor Award. Now, as a consultant, she is an industry expert on strategic change for the international investment management/capital markets client base. Distance learning, like our live workshops, provides attendees with tools to navigate the challenges facing CBOs today. We also know that with small institutions being mindful of their budgets, access to many of these programs may be limited. To give small institutions access to more content at a reduced cost, NACUBO is introducing the Small Institutions Bundle. These bundles will allow participants to buy a pre-selected set of on-demand and upcoming webcasts, lowering the cost incurred for institutions. On-Demand: NACUBO Live! Results of the 2017 NACUBO-Commonfund Study of Endowments. On-Demand: Ethics vs. Fraud: Similarities, Differences, and Ensuring Accountability. Upcoming: Emerging Business Models for Small Institutions: The Shifting Landscape in Higher Education (airing on April 4). With the purchase of this bundle, participants will also receive a discount code for participation in the March 22 webcast titled Cybersecurity: A Primer for Higher Education Leadership. Regardless of your availability to view the live broadcasts, you will still save more than $150 on expanding your professional development. To purchase your Small Institutions Bundle, visit www.nacubo.org and click on the “E-Learning” tab. As institutions continue to tackle top issues—the recent passage of tax reform and updating current business models—NACUBO has developed two new webcasts that will help colleges and universities navigate these key areas. Tax reform. The swift passage of the Tax Cuts and Jobs Act at the end of 2017 marked the first significant rewrite of the tax code in more than 30 years. The sweeping legislation affects virtually every U.S. business, individual, and not-for-profit organization; institutions of higher education experienced some wins and losses under the final legislation. In this webcast, Tax Reform: Higher Education Has Wins and Losses Under Final Law, scheduled to air on March 27, NACUBO has assembled a diverse panel of higher education tax advisers and industry professionals for an informative conversation regarding the practical considerations of the tax reform legislation. Register to hear the panel discuss which provisions may have the most significant impact on institutions, how the industry is moving forward when tax planning is critical but IRS guidance is scarce, and some practical considerations for higher education in the short and long term. Small institutions. Business officers increasingly wonder about the viability of the business model that has served higher education so well in the past. In the current economic and demographic environment, the challenges encountered at small colleges differ from those being faced at larger institutions. During the April 4 distance learning presentation, Emerging Business Models for Small Institutions: The Shifting Landscape in Higher Education, a panel of innovators from Augsburg University, Minneapolis; Sarah Lawrence College, Bronxville, N.Y.; and Grant Thornton will describe alternatives to the current business model, where some are succeeding and all are evolving with methods to lower costs, improve access, and produce measurable outcomes. Attend this webcast to learn about specific ideas and innovations being implemented at small institutions, and strategies to help your college navigate its unique challenges. As part of its ongoing efforts to provide business officers with varied perspectives on the political climate and potential budgetary, tax, and regulatory changes, NACUBO continued its popular webcast series with a free, 30-minute overview of the latest from Washington—Legislative Lunchcast: A Washington Update, which aired on February 22. NACUBO experts provided insights on topics such as 1098-T, DACA, and the Higher Education Act Reauthorization. To view this recording, visit www.nacubo.org, click on the “E-Learning” tab.